Ms. Remise Anthony lectures in Pre Med English at the International American College of Medicine in Vieux-Fort, St Lucia. Prior to joining the part-time staff of the International American University in…., Ms Anthony had a ten (10) year stint as principal of the Micoud Secondary School, St Lucia. Previous to this she was Head of the English Language Department and taught English Language and Literature to the Upper Forms at a Secondary School. Ms Anthony is an educator of more than thirty ( 30) years experience. She has taught at all levels of the education system. Her first appointment was as a primary level teacher. She then taught English and Literature at the secondary school before moving to the Sir Arthur Lewis Community College as a part- time lecturer in Communications Studies. She has had extensive experience in Testing and Evaluation, developing Remedial Reading programmes for Young adults and the Teaching of English as a Second Language. 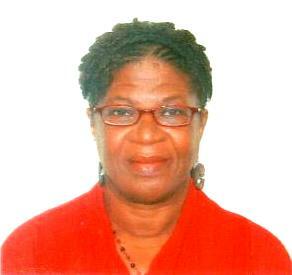 Ms Anthony is a graduate from the University of the West Indies,(Cave-Hill) where she obtained a Certificate of Education in the Teaching of Reading, a Bachelor of Education Degree (Honours) with a minor in Linguistics and a Master of Arts in Education Degree, specialising in Functional Literacy. She also pursued an Executive Diploma in School Management and Administration at the UWI-Institute of Business, St Augustine, Trinidad.